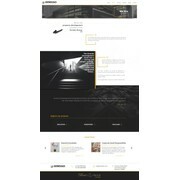 "Reactive, Pro and Creative, I advise you Mike for your futur projects. Thanks!" "Excellent work, prompt, great service. A creative mind yet fulfills objectives. " "Mike has been a real pleasure to work with, extremely professional, talented and always ready to make changes as needed. We look forward to working with him again in future." "Fantastic designer and great to work with"
"Excellent work. The designer was had been cooperating during all contest including weekend. It allowed us to create a wonderful design for our web-site."